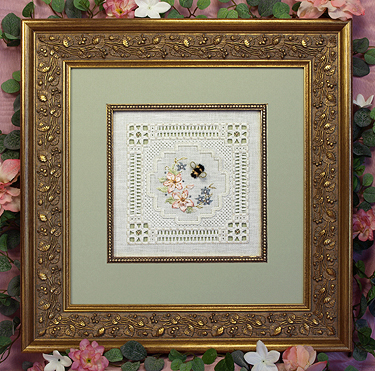 with 5” x 5” inside measurement. 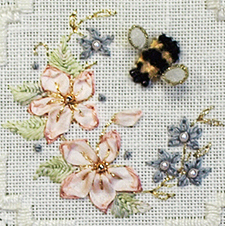 Pack is available at participating needlework shops and online at the Victoria Sampler. 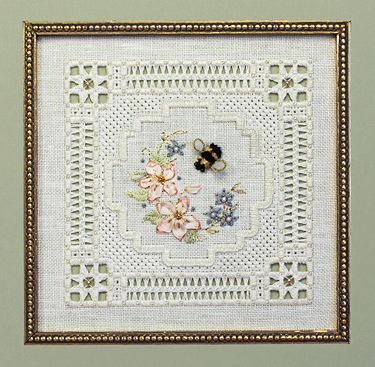 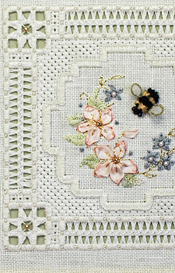 This pack contains plenty of threads and special materials to complete this beautiful sampler!